Della Toffola offers over 50 years of experience in the design and manufacture of innovative equipment. We deliver high quality crushing, pressing, filtration and floatation systems, bottling and packaging lines as well as outstanding support and service. 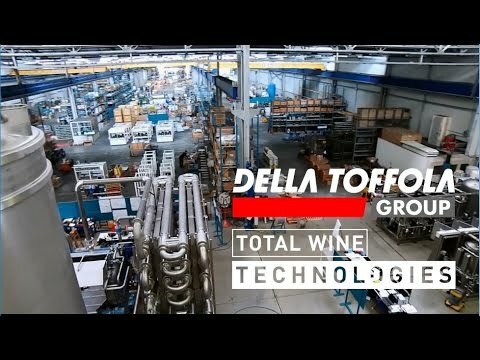 The Della Toffola family began designing and manufacturing winemaking equipment in Italy in the 1960s. With success came growth, and today the Della Toffola Group boasts eight manufacturing plants and eight brand offices across six continents. The company, which remains family owned and operated, has established itself as a worldwide leader in producing innovative and dependable winemaking equipment. Della Toffola USA opened its doors in 2009 and has quickly established itself as a prominent player in the industry, providing high quality, reliable, innovative machines to wineries of any size. Articles on Della Toffola USA, Ltd.